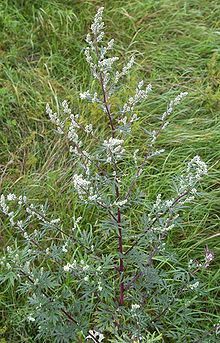 Artemisia frigida is a species of flowering plant in the aster family known by the common names fringed sagebrush, prairie sagewort, arctic sage and pasture sage (however it is not closely related to the true sages Salvia). It is native to Europe, Asia, and much of North America, in Canada and the western United States. In parts of the north-central eastern United States it is an introduced species. This plant is a perennial plant but with a woody base. The stems spread out, generally forming a mat or clump up to 40 centimetres (1.3 ft) tall. The stems are covered in lobed gray-green leaves which are coated in silvery hairs. The inflorescence contains many spherical flower heads each about half a centimeter wide and lined with woolly-haired, gray-green or brownish phyllaries. The flower heads contain several pistillate ray florets and manybisexual disc florets. The plant is aromatic, with a strong scent. This plant can make a great many seeds. It can also spread by layering; in some years it produces very few seeds. This plant is common and dominant or codominant in many areas, especially in dry and disturbed habitat types. It is common in the Rocky Mountainsand Great Plains in North America, where it occurs in grasslands, shrublands, and woodlands, among others. It has a tendency to increase in areas that have been heavily grazed by livestock. 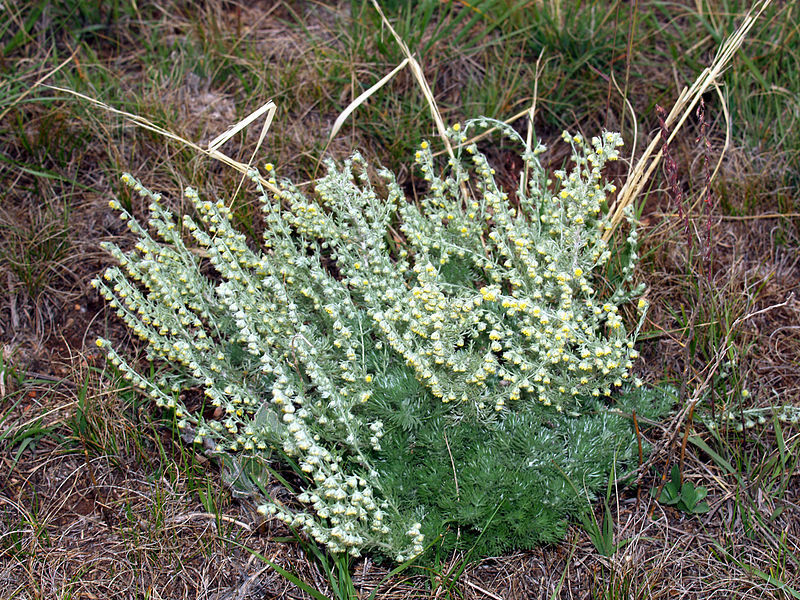 Overgrowth of the plant is sometimes an indicator of overgrazing on rangeland. It sometimes becomes an aggressive weed. 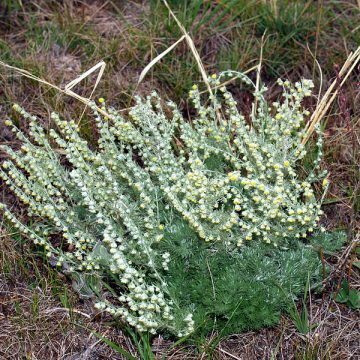 Ranchers have considered the plant to be both an adequate forage species and a worthless nuisance species. A number of wild animals consume the plant, including white-tailed jackrabbits and sage grouse. 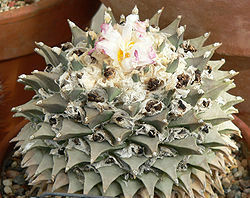 The plant is cultivated for its foliage effects, and has gained the Royal Horticultural Society’s Award of Garden Merit. This sagebrush had a variety of uses for Native American groups. It was used medicinally for coughs, colds, wounds, and heartburn by the Blackfoot. 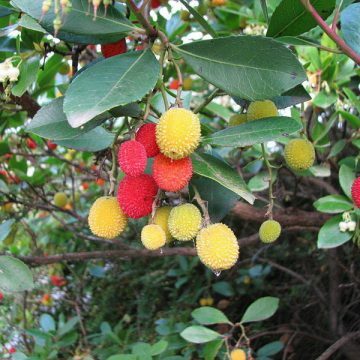 The Cree people used it for headache and fever and the Tewa people took it for gastritis and indigestion. It also had ceremonial and veterinaryapplications, including for the Blackfoot, who reportedly used the crushed leaves to “revive gophers after children clubbed them while playing a game”. Among the Zuni, the whole plant is made into an infusion for colds. Sprigs of this plant and corn ears are attached to decorated tablets and carried by female dancers in a drama. The sprigs are also dipped in water and planted with corn so it will grow abundantly. This plant is also used in landscaping and for erosion control and revegetation of rangeland. It is drought-resistant. Growing Information: The growing site for your Artemisia should get plenty of sun. There is no need for chemical fertilization and indeed most soil conditions of residential gardens have more nutrients than the plant needs. Surface sow seeds either directly outdoors or in trofts. Containers will help minimize seeds being washed or blown away. Keep the soil regularly moist but not saturated. 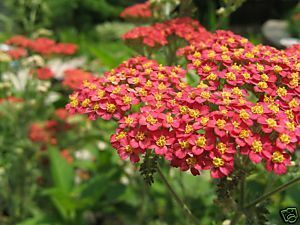 Remember, this plant self-seeds, so you must de-head and discard flowers near the end of summer to keep them ranged in.